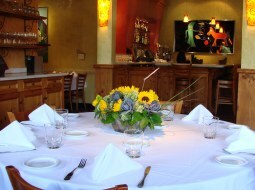 Max’s Bistro & Bakery is the premier dining and gourmet deli location in the Central Valley. Max’s boasts an impressive and ever-changing wine menu with varietals from around the world, and the bakery features Max's Artisan Breads and assorted desserts which include our delicious cheesecakes. Come and let us make your romantic evening a night to remember!